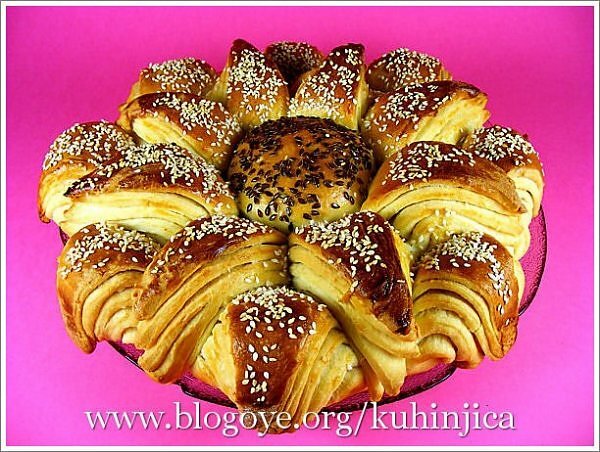 Mix sugar and yeast with lukewarm water and leave to rise. Then add all the other ingredients and knead into smooth dough. 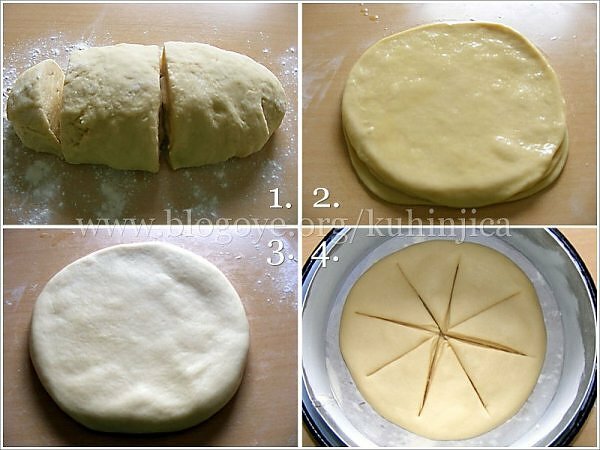 Cover with a kitchen towel and leave to rise for 30 minutes,Knead the risen dough, then cut it in half and cut off one end of one half as on Pic 1.Leave that small piece aside. Cut the bigger of the two halves into 5 equal sections. 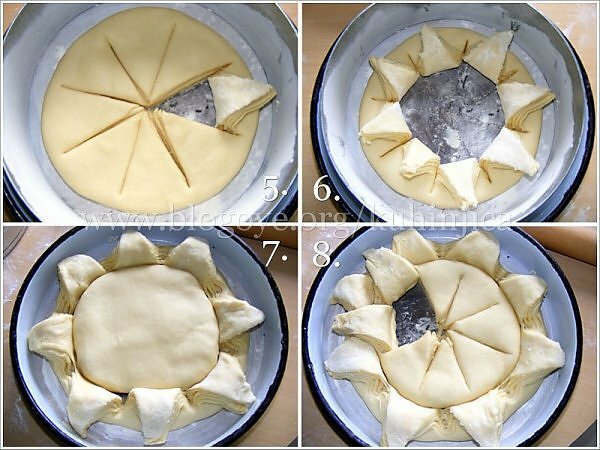 Shape each section into a thin circle, brush it with melted butter and stack them, making the fifth a little bigger so that it flops over the others. (Pic.3) Place them carefully into a greased and floured round baking tin (28 cm). Repeat the process with the smaller half (Pic 7), making sure that the cuts are positioned in the middle of the bigger lover sections because the top petals need to come in between the bottom ones. (Pic 8). Shape the smallest part into a ball and place it in the middle. Beat the yolk with milk and brush the bread all over. 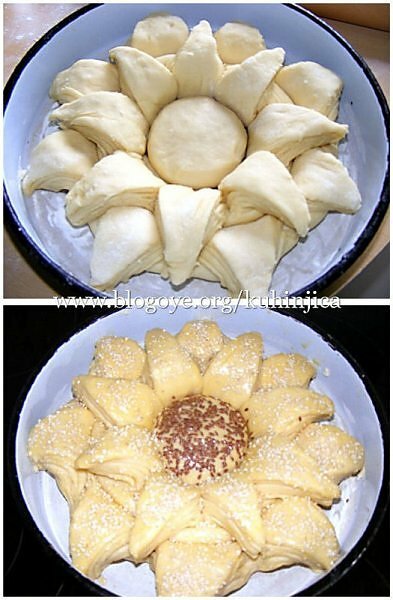 Sprinkle sesame seeds over the petals and cover the central ball with flax.Cover the bread for about 20minutes and warm up the oven. Bake for 10 minutes on 200C. Then place baking paper on top, reduce the heat to 180C and bake for another 20 minutes. Remove the paper and bake for another 7 minutes.